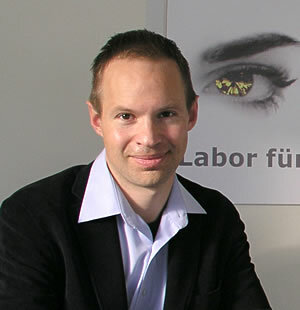 The Accredited Gemologists Association is pleased to announce that Dr. Thomas Hainschwang, Managing Director of the Liechtenstein branch of the GGTL Laboratory, has been awarded a second $10,000 research grant to help fund his cutting-edge diamond research. In announcing this decision, AGA president Stuart Robertson noted that Dr. Hainschwang's proposed study outlined in considerable detail an incredibly advanced diamond treatment research. His accomplishments to date are encouraging. The AGA's Education Scholarship and Research Grant Committee recognized the significance of this study for its potential to unlock new and important details for determining origin-of-color in diamonds. Dr. Hainschwang is conducting this study in cooperation with other institutions in Switzerland, Germany and the Ukraine, and includes more than 100 diamonds, the properties of which will be analyzed in rigorous detail both before and then after each phase of research. This comprehensive study promises to be the most significant on the subject to date. We are happy to be contributing to its funding. AGA Committee Chair, Heidi Harders, noted, "It was immediately clear to us that this research would have important implications for the international gemological community." Antoinette Matlins, Special Advisor to the AGA Board, noted the significance of AGA's support of cutting-edge research conducted by independent gemologists in conjunction with institutions that can offer expertise beyond the scope of gemology alone. As she points out, "the AGA is the only international gemological organization not associated with any industry organization, and its support of independent research that includes not only gemological expertise but working in collaboration with some of academia's brightest minds from other sciences, is of critical importance to having a fuller understanding of the gemstones we love." Matlins also shares a story she remembers from a number of year ago about how a relatively young "upstart" became suspicious of some natural pearls that were being offered in the marketplace, which had reports from respected laboratories confirming they were natural. "But Thomas had serious reservations about the number that were entering the market and became highly suspicious, so he undertook doing his own research, using advanced instrumentation available at one of the universities, and proved they were NOT natural pearls," Matlins recalls! And, she adds, "Having an inquisitive mind is what makes Dr. Thomas Hainschwang the ideal recipient for this grant." Stuart Robertson and Heidi Harders are especially delighted to be presenting this grant to Dr. Thomas Hainschwang on behalf of the AGA membership. "He has demonstrated that he is one of those exceptional people who has not only a keen mind and extensive knowledge in multiple sciences, but also the curiosity, passion for the field, and dedication to approaching all that he does with integrity," says Stuart Robertson, and Heidi agrees, adding "AGA's Founding Father, Antonio C. Bonanno, would indeed be very pleased that Thomas Hainschwang is the first recipient of this AGA Research Grant. The AGA was founded by Antonio C. Bonanno to foster an environment for continuing, practical education in gemology. In more recent years, the association has broadened this mission to include active intellectual and financial support of gemological education and research. The AGA Research Grant provides funding of up to $10,000, per year for approved research and is authorized by the governors of the AGA. Only one Grant is awarded per year as approved by the board. The application process is open to anyone who is aiming to conduct a scientific gemological research project with an appropriate background defined in the application form. Funding for the AGA Research Grant is made possible by the generous support of AGA members and benefactors.